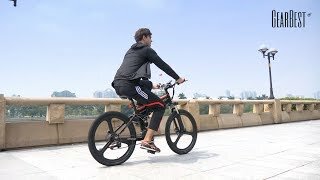 The Samebike LO26 electric bicycle is equipped with wheels with inflatable tire for different terrains, in a 26 inch format. This is the same diameter as the wheels of the first ATVs. 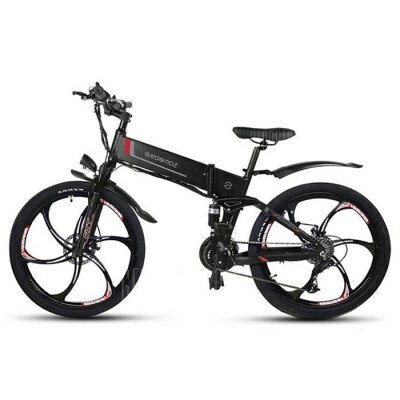 It is a foldable electric bike to occupy a footprint of 103 x 37 x 104 cm and facilitate, as far as possible, its transport. However, it will still carry a weight of 30 kg. With a full charge in 4 hours, a Li-on battery of 10.4 Ah ensures up to 40 km of autonomy in pure electric mode and 70 km in moped mode, which is therefore relatively comfortable for journeys beyond the city. 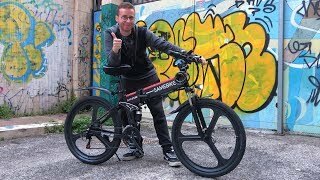 With a 350W engine, this electric bike can reach a top speed of 30 km/h. The braking system relies on disc brakes, and it has LED front lighting. With its aluminum alloy frame, it can support a payload of up to 150 kg.